Have you written a book? 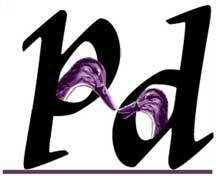 Purple Ducks will consider your book for publishing. Book selection is a highly subjective process, of course, but you are welcome to submit a proposal and three sample chapters for consideration. If we like what we see we'll ask to see more. If your book is chosen, we will edit and design the finished product, procure an ISBN, and submit it to all online and brick-and-mortar booksellers as both print and ebooks at no charge to you. Please send your materials as text within your email (no attachments, please!) and address them to submissions@purpleducks.com. We will get back to you as soon as possible. Thanks!